Over the years, the folk who bring forward higher dimensional wisdom and teachings has been whittled down to just around a handful for me. After so many I used to keep up with have either sold out to the Darkies or to the CIA = same thing! Although some of what Denise shares -like the astrological forecasts she's fond of -doesn't resonate for me, much other of the wisdom she brings through and her take on things energetically most certainly does! One of the methods she suggests is Lisa Renee's shield which I myself have been using. Lisa is another of my trusted handful. And her shield does seem to be working nicely now for me. Over the years I’ve received many emails from people around the world requesting help and/or information about how to protect themselves from etheric attacks from Team Dark/the Negatives (see description below). The majority of these requests for help come from people who were dealing with non-human, other-dimensional beings and entities attacking them in the 3D physical and 4D Astral dimensions. In other words, the majority of email requests for help I’ve received have not been about a living human intentionally psychically attacking them, but about non-physical, non-human, other-dimensional Aliens, Beings and Entities attacking them. WHO ARE THEY & WHY DO ATTACKS HAPPEN? To keep this article small and to the point, the reason why negative other-dimensional psychic etheric attacks have increased dramatically and become more conscious to growing numbers of people is, in a nutshell, due to the current planetary Ascension Process. The further we’ve traveled into the Ascension Process (this started approximately 1987, but for some Starseeds/Lightworkers it began earlier), the more darkness, negativity and lower frequency density and duality there’s been feeling the growing pressures of higher frequency Light infiltrating 3D, Earth, humanity, the Collective etc. And, by darkness and negativity I mean Team Dark or the Negatives as I call all of them. Who is Team Dark or the Negatives? They are the negative non-physical, non-human 5D and 4D Alien beings such as the Reptilians and Draconians, plus certain other groups they control and/or have created themselves like negative Grays, MIB and other inorganic non-physical creatures. Team Dark/the Negatives also includes the 4D Astral Archetypes; all developmental levels of negative non-human 4D Astral beings, demons and entities etc. ; human created negative inorganic thought-forms, black magic energies, physical violence, warring, negative sexual energies etc. and the 4D Astral entities attracted to those and all low-frequency energies — 4D Astral Collective energies generated from 3D humans; and the 2D (dimension that exists below Earth’s surface vibrationally) negative Elemental entities, creatures, monsters, demons etc. Also included as Team Dark/the Negatives are the living humans who are polarized to the “Dark side of the Force” or “Service to Self”. These people are dark themselves and don’t need help from negative, other-dimensional Aliens and/or beings to manifest negativity in 3D physicality and unleash it upon other living humans, the Earth, Nature, animals etc. They are human Team Dark members and work in the physical dimension in tandem with the non-physical, other-dimensional Negative Aliens, entities, demons etc. to create more fear, suffering, violence, wars, hatred, chaos etc. in the physical world. Why? Because all human generated lower frequency emotions, thoughts and actions are invisible etheric energy food, fuel, and building materials for Team Dark. And there are the billions of living humans (normal folk) who are repeatedly and unknowingly influenced, manipulated and directed by a negative Alien(s), Astral being(s), demon(s) and lesser evolved entities to create as much pain, misery, fear, wounding, sadness, destruction, immobility, confusion and chaos that they can on other humans for the reasons previously mentioned. Living humans intentionally used and directed by non-human, other-dimensional Team Dark Aliens, beings and entities to negatively affect other living humans to get those humans to produce negative emotions and energies. Or, if you’re a Starseed/Lightworker/Lightwarrior/Indigo, to derail you in any way(s) they can as often and as long as they can from doing the spiritual energetic Ascension related Work you came to Earth now to do for All. Why? Same reasons; so the Team Dark Aliens and other levels of beings can remain in control and continue feeding off of the lower frequency actions, emotions, thoughts and consciousness that controlled unaware humans produce. Of all these negative situations, the one where humans are used and manipulated by non-physical Team Dark beings to intentionally hurt other humans—not to mention the Starseeds/Lighyworkers/Indigos doing Ascension work—frustrates me the most because the human(s) being used is completely unaware of it all. And, the more well-developed the human’s ego is, the easier it is for Team Dark Aliens, beings, entities and demons to use and manipulate them against other humans. Horrible, revolting, insulting and embarrassing isn’t it? We’ve all been used and manipulated by certain Team Dark beings but the important thing is to wake up to this fact, take responsibility, and evolve so this horrific inter-dimensional parasitism, possession, astral kidnapping of souls to use them, manipulation of mass humanities consciousness, and manipulation of humans against other humans cannot continue happening. Here’s another link to Lisa Renee’s 12 D Shield building technique video if you haven’t seen it yet. Not only is Lisa’s 12 D Shield an effective tool to protect yourself from Team Dark/the Negatives, it’s much more than just that. 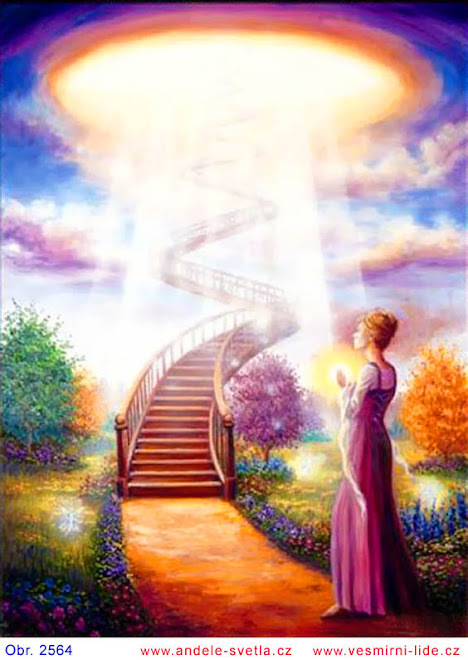 It’s a higher dimensional field where positive contact and exchanges can more easily happen between you and your Ascension Guides, your Higher Self, and with other positive higher dimensional beings and energies on a conscious level. But you first need to work building and mastering visualizing this 12 D Shield around your body every day and night for however many weeks or months it takes you to get it constructed ethereally to the point where you can feel and see it there constantly. You’re not only building multidimensional protection armor with this tool, you’re also building a better working connection and conscious awareness with your Higher Self, positive higher dimensional Beings, Ascension Guides, and other beloved kinsfolk from higher dimensional Home stations. Don’t expect to do this or any other visualization or protection method once or twice and then expect miracles to happen. Energetically building etheric protection structures takes time, repetition, and real work visualizing, feeling and holding or maintaining what you’re building around your body, your bedroom, house and/or entire property. It takes real effort, energy, determination, focus and repetition over the weeks and months to build up layer upon layer of whatever it is that you’re literally constructing energetically. However, once you’ve put in the effort and time constructing your psychic protection you will feel and maybe clairvoyantly see what you’ve built energetically. From then on all that’s needed is for you to maintain your etheric structure by daily and/or nightly visualizing it and intentionally and emotionally reinforcing it. Think of this phase of the work sort of like having to dust your furniture; the furniture is there and now all you have to do is keep it clean and maintained. Same thing with our ethereal protection structures and other multidimensional tools. Another effective protection tool is one that many of you are probably already familiar with also but many people aren’t, and because it works and very well once you’ve got it constructed energetically around your property, it deserves to be included. This protective tool is the Banishing Pentagram drawn to the Four Directions. As you can see by the image above (and thanks go to whoever created this visual), you start drawing the Banishing Pentagram at the number 1 position and then move up to number 2, then 3 and so on until you reach number 5 where you’ll complete the pentagram by moving from number 5 down to number 1 where you started. It’s important you complete and close the pentagram so always finish by connecting the number 5 position down to the number 1 position. You’ll draw the first of the four Banishing Pentagrams facing EAST in the air with your arm straight and extending out in front of you. You’ll need to keep your arm extended and straight from the shoulder down to your index and middle fingers with your other fingers and thumb folded into your palm. Don’t bend you elbow. Your index and middle fingers are doing the etheric drawing of the four pentagrams to the four directions. When I’ve needed to use this tool I always make my four pentagrams to the four directions around fifteen or twenty feet tall and have them hovering in place in air above the ground. I draw them as bright Light or Fire/flame and always visualize them like this. Always begin facing East and draw your first pentagram in the air, then turn a quarter turn physically so you’re now facing South and draw the second pentagram, then another quarter turn to the West and draw the third pentagram, then turn to the North and draw the fourth pentagram, then turn another quarter turn to return to East again so the space is energetically closed. There are a number of things you can say aloud or silently while facing East, South, West, and North and drawing each of the four pentagrams. It’s up to you really; you can get as elaborate as you want or you can just intensely visualize each of the four pentagrams huge and impenetrable, hanging silently in space around you and your property continuously. Again, when I’ve had to resort to using this protection tool, depending upon the level of severity of the attack I’m experiencing at that time, I’ll sometimes say aloud as I’m drawing EACH of the four pentagrams something like, I remove, banish, and prevent all negativity in all forms from entering my space now. Use whatever wording is the most meaningful to you at the time, but whatever you do, do it with 1000% seriousness, focus, intensity and intention. Mean and emotionally feel and intend what you’re saying and doing otherwise these actions are empty, impotent, useless theatrics and your negative psychic etheric attacks will continue. This is you being a conscious energetic construction worker intentionally building something on another dimension that you intend to protect you and yours and last as long as you need it. This is serious stuff people and Team Dark won’t like it at all that you’re doing something to prevent them from attacking you, feeding off of you, using you, tormenting you, derailing you, or trying to kill you so be ready for some blow-back and other devious tactics and shifts from them (at least for a while) when you start using etheric protection tools. The most common countermeasures I’ve experienced after protecting myself ethereally is that Team Dark immediately shifts their focus to another human they can manipulate to attack me or cause me misery in whatever ways they can. This is often when a family member(s), friend(s), mate, neighbor(s), co-worker(s), reader(s) and even other people’s pets are used by Team Dark to continue their attacks upon those of us doing Lightwork, Gridwork, Polarity Resolution and Transmuting and Clearing work etc. The Negatives are tenacious and don’t just lay down and disappear because you’ve built some psychic protection around yourself and your property and house. Be aware of how Team Dark quickly shifts their efforts to manipulating another person or people (and even animals in many cases) to attack and/or disturb you etc. When the Negatives can’t get at you directly, they quickly shift their attention to other people they can influence to continue attacking and distracting you. Another common tactic Team Dark uses on us, and I’ve talked about this before, is mental interference, especially when we’re trying to build and visualize some etheric protection tool for our self and/or certain other things we try to Consciously Create. I mentioned before about how I encountered mental interference for about two months when I started building Lisa Renee’s 12 D Shield. It was ridiculous how much mental interference I experienced every time I’d try to do her 12 D Shield! But, this is a common tactic the Negatives use against us when we wake up enough to start protecting ourselves from them; they fight back and try to sidetrack or derail us by repeatedly interfering when we’re mentally focused on that protection. When you experience this counter it by repeatedly pulling your mental focus back to the point where you were before you were mentally hijacked by the Negatives. Eventually you’ll break on through and be successful in building and maintaining your etheric protections, whatever they are, so hang in there and be persistent. I mentioned in my August 16, 2012 Back from the Underworld article (only briefly because I couldn’t talk much about it then) about how I’d been working energetically (from mid July through mid August 2012) transmuting negative residual energies and helping numerous dead human soldiers from WWI (World War One) who, at the time of their physical deaths had been kidnapped Astrally by Team Dark beings and held captive there and used energetically. Just in case you’re wondering if this is some rare anomaly that happened only to WWI soldiers and others alive at that time the answer is no, it happens all the time to any human Team Dark can grab. War zones are especially easy places for Team Dark because the energies are so lowly and dead and traumatized humans just keep coming. All wars in all timelines are actually massive dark energy alters where negative Aliens, beings and entities feed, steal and pick through the endless supply of sacrificed humans to grab and use in the Astral as energy producers. It’s time now for all wars, warring, warring/fighting mentality and belief systems (all of which are very Reptilian), weapons creation etc. to end on Earth because I’m about all done mopping up the vile Astral repercussions, rescuing Astral imprisoned dead military humans and their body parts (plus plenty of other humans not connected to any war), and transmuting the overall negativity, trauma, and insanity wars and all violence produce in multiple dimensions for eons. In this type of Ascension related energy Work which I’ve been doing for nearly two decades now, I never consciously decide that I’m going to go to some past timeline on Earth where there’s massive numbers of kidnapped dead humans and residual pain and fear energies and do rescue and transmuting Work. I just energetically Work on whatever it is that I suddenly find before me, and during July and August 2012, it’s been a lot more Astral rescue and transmuting Work of long-dead WWI human soldiers held captive and used energetically by Team Dark in the Astral all this time. Others of you (Starseeds/Lightworkers) have been doing this same rescue and transmuting Work from the Astral most of this summer too (not war related), but with other dead and trapped humans in other timelines and locations around Earth who were also kidnapped or hijacked by Team Dark beings long ago. The ongoing multidimensional cleanup and rescue Work we’ve done very intensely since about 1999 has been difficult, exhausting, and nearly heartbreaking not to mention terribly physically painful as well. 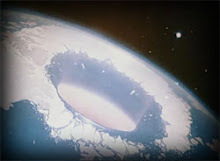 And yes, there’s plenty more kidnapped, trapped and used dead humans, souls, and fragmented pieces out there in the Astral that still need help being rescued and released from the different prison hells they’ve been held within for so long before this Ascension Process completes the end of December 2012. Do what you can when you can but don’t become distressed over those that you/me/we can’t help for whatever the reasons. Rest and heal your weary body and heart because who else can do this type of Work now? It’s important and necessary to rest, sleep and heal after these extreme and difficult multidimensional missions we go on.